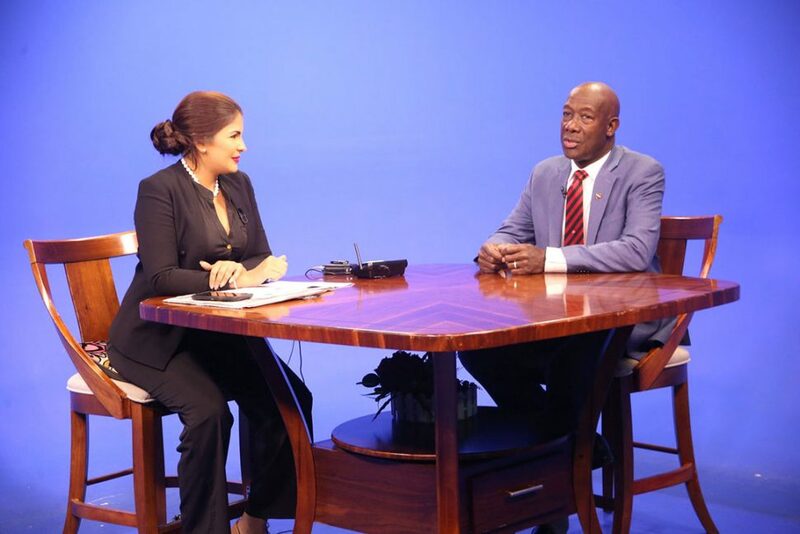 CNC3 Morning Brew host Hema Ramkissoon during an interview with the Prime Minister Dr Keith Rowley on Monday. 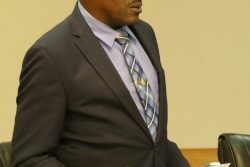 (Trinidad Guardian) Prime Min­is­ter Dr Kei­th Row­ley yesterday morn­ing con­firmed that he ex­pects to get a new op­er­a­tor for the moth-balled Pointe-a-Pierre re­fin­ery. “We ex­pect to have it leased in a mat­ter of months,” he told The Morn­ing Brew host Hema Ramkissoon dur­ing a wide-rang­ing in­ter­view on the econ­o­my and Gov­ern­ment plans go­ing for­ward. Row­ley’s state­ment comes af­ter the ex­ec­u­tive at the re­for­mat­ted Pointe-a-Pierre re­fin­ery is­sued a re­quest for pro­pos­al (RFP). En­er­gy Min­is­ter Franklin Khan sub­se­quent­ly walked back the pro­pos­al, claim­ing said the sale of Paris Fu­el Trad­ing Com­pa­ny Lim­it­ed was “in­ad­ver­tent­ly is­sued” by the com­pa­ny’s chair­man Wil­fred Es­pinet in the RFP. Khan said the RFP will be with­drawn. How­ev­er, Row­ley con­firmed that Gov­ern­ment is test­ing the mar­ket and ad­ver­tis­ing the re­fin­ery for lease. He said: “It is pre­ma­ture to write an ar­ti­cle now about it go­ing for sale. We have gone out, invit­ing in­ter­est­ed par­ties. We have to wait and see, no need to jump out prospect­ing. We will treat with se­ri­ous of­fers. “We have not got­ten out of Petrotrin, we have not got­ten out of the oil busi­ness. We are out of the re­fin­ery busi­ness,” he said. He com­pared the shut­ting down of Petrotrin to get­ting sick and go­ing to a doc­tor. While that vis­it may in­clude an in­jec­tion or bad-tast­ing med­i­cine, it will get bet­ter, he said. Row­ley al­so de­fend­ed Gov­ern­ment’s mul­ti-mil­lion dol­lar rental of a build­ing linked to At­tor­ney Gen­er­al, Faris Al-Rawi. “We were nev­er against per­sons pro­vid­ing rentals to the State,” he said, adding that while Gov­ern­ment had state spaces, it some­times had to utilise rentals to house Gov­ern­ment of­fices. “That had gone on for quite some time. There have been cor­rupt prac­tices from time to time,” he said. He said that once the per­son linked to the prop­er­ty re­cus­es him­self from the ne­go­ti­a­tions, there is no cor­rup­tion. “I en­sured he wasn’t even in the room,” Row­ley said. 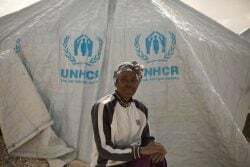 He al­so de­fend­ed Gov­ern­ment’s lease of a build­ing in Fyz­abad owned by the En­er­gy Min­is­ter’s wife for the Chil­dren’s Court, in­sist­ing that be­ing linked to the Peo­ple’s Na­tion­al Move­ment (PNM) does not ex­clude any­one from do­ing busi­ness with the gov­ern­ment. “When it was ap­proved, we were sat­is­fied it was val­ue for mon­ey,” he said.